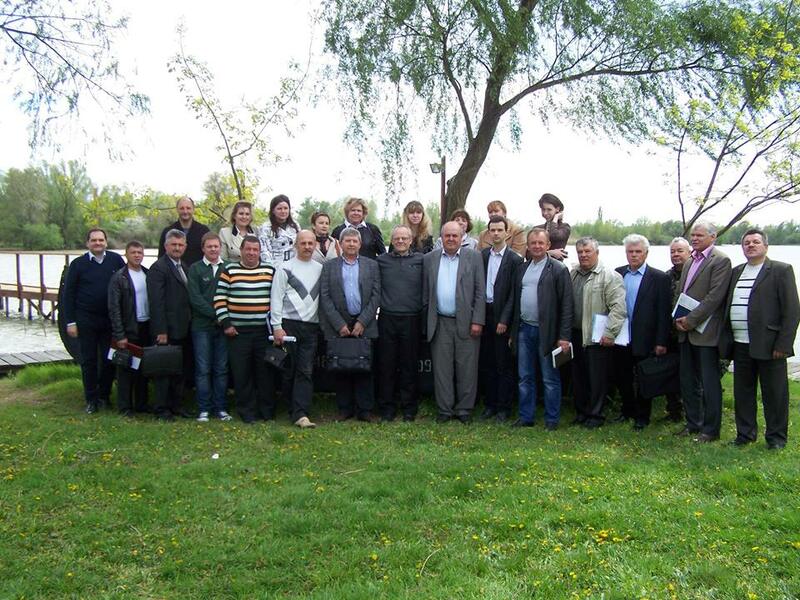 On 26-30 May 2008 a delegation from the Odessa Oblast visited the Region of Veneto, Italy. The delegation was headed by Nikolai Tindyuk, the Deputy Chairman of the Odessa Regional Council, and included Vladimir Levchuk, the Chairman of Ovidiopol District Council; Mikhail Moyseenko, the Head of the Odessa Regional Water Management Department; Igor Studennikov, the Executive Director of the Centre for Regional Studies; Oleg Dyakov, senior researcher & project manager, Centre for Regional Studies; and Iryna Lashkul, the Assistant to the Deputy Chairman of Odessa Regional Council. The visit was arranged by the Association of Commerce, Tourism, Services and SME of Rovigo (Associazione del Commercio, Turismo, Servizi e PMI di Rovigo – ASCOM ROVIGO), Italy, and the Centre for Regional Studies, Ukraine, within the joint project “International cooperation in the management of water resources of the Odessa Region” (Progetto di cooperazione internazionale sulla gestione delle risorse idriche a Odessa) funded by the International Cooperation Programme of the Region of Veneto (Italy). As a part of the visit, a meeting with Mrs. Maria Luisa Coppola, the Regional Minister of Budget, International Relations and Cooperation for Development and Equal Opportunities took place in Balbi Palace, Venice, on 27 May 2008. Areas of cooperation between the Odessa Oblast and the Region of Veneto have been discussed. As the next step to signing an agreement on cooperation between the both regions it has been agreed that Mrs. Coppola will visit Odessa on 26-27 June 2008. The Ukrainian visitors gratefully acknowledge the great contribution of Dr. Paolo Tosi and the Studio Tosi team to the arrangements and building cooperation between the Odessa Oblast and the Region of Veneto.